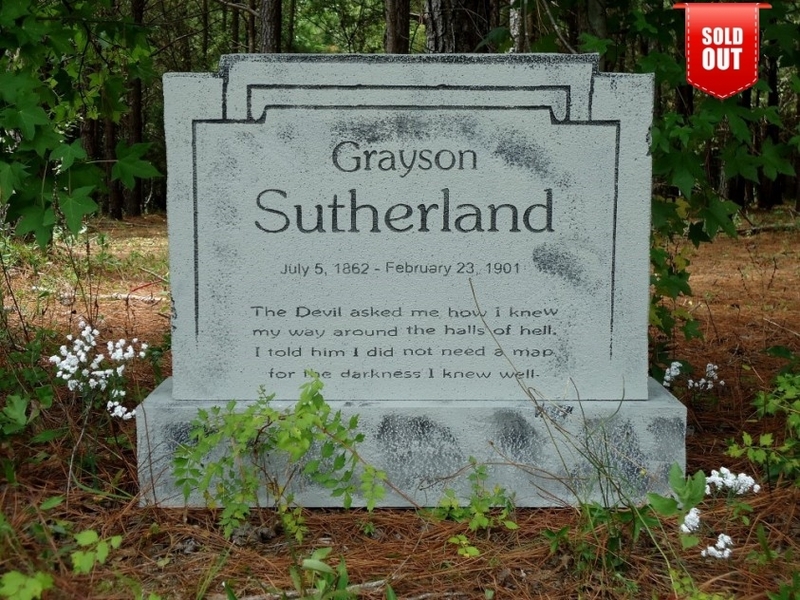 This great Tombstone features a 2 level design engraved-”Grayson Sutherland – July 5, 1862- February 23, 1901 The Devil asked me how I knew my way around the halls of hell. I told him I did not need a map for the darkness I knew well.” Measures a HUGE 31.5” W X 26″ T X 9.5″D. 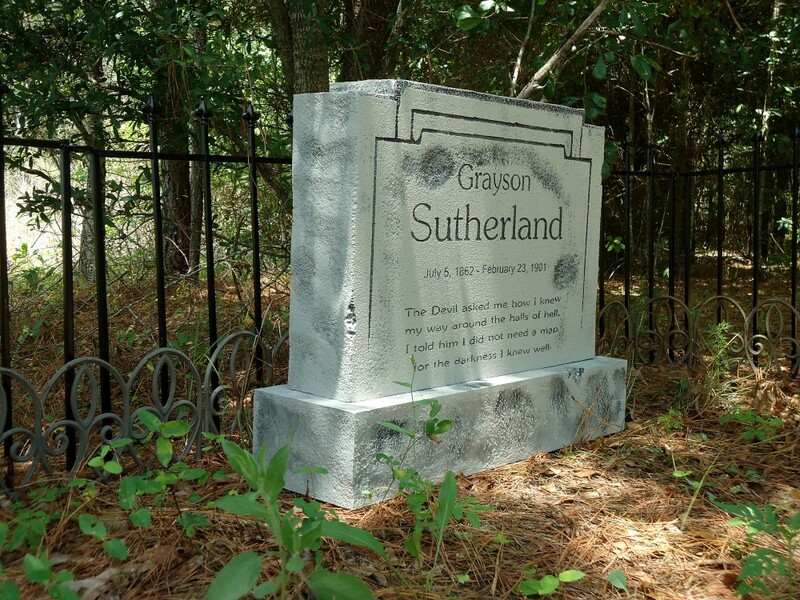 Headstone and Base are both 6″ thick. 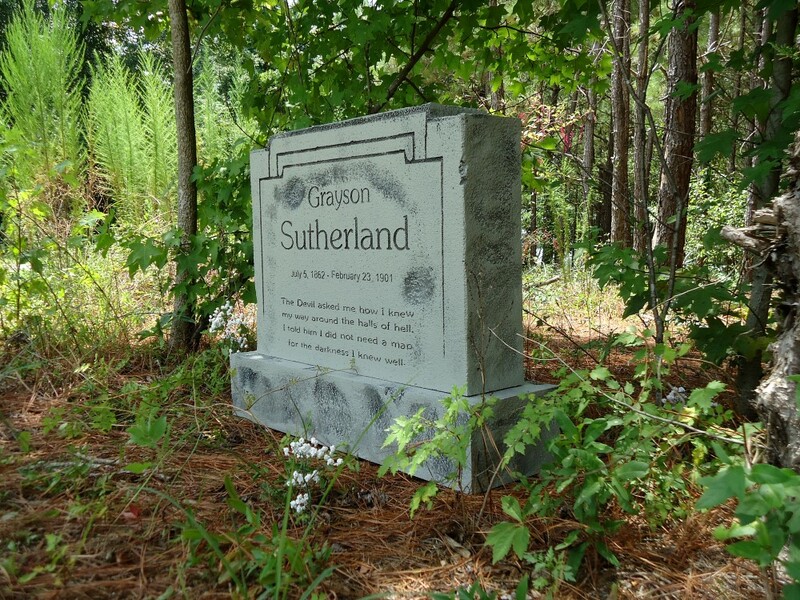 Epitaph is actually engraved into each tombstone, not stenciled. 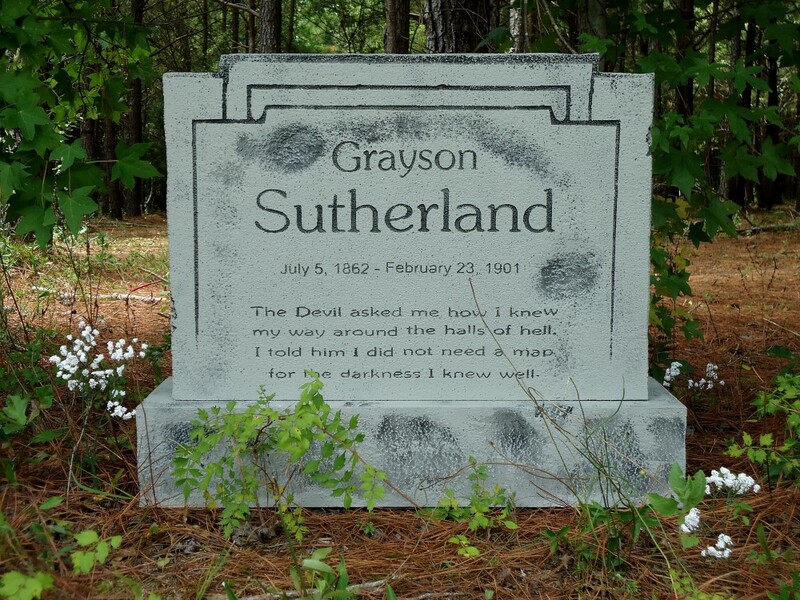 Another great tombstone – Looks like a real tombstone, very good size and I really like the quote that’s engraved into it! Have always been happy with the products I buy from Evil Soul Studios(Been a customer for 3 years so far). My favorite place to shop for Halloween. Fabulous items, quick shipping. THE BEST! !